The ESS Workshop on dissemination of official statistics as open data, organised by Eurostat with the support of DevStat and the National Institute of Statistics of Malta, took place in St. Julian (Malta) on 18-19 January 2017. The workshop aimed at bringing together the various stakeholders to explore and prepare the ESS future orientation in this area of work, with active involvement of the members of the DIGICOM Work Package 3 “open data dissemination” in its preparation and animation. The workshop was open to all actors (from the statistical community but also from the open data community) of (linked) open data projects, staff with responsibilities in methodological and dissemination activities as well as managers. Experts from ministries/agencies in charge of open data portals, re-disseminators, data analysts and data archives were also present. During the Workshop different themes were discussed: opportunities, use cases (linked data, linked metadata), added-value for the users, challenges and how to address them standards, thesaurus, Uniform Resource Identifiers and Strategy and policy. The Workshop was a complete success: Malta received more than 55 participants from 27 different countries. For the first time, the Workshop was retransmitted in streaming during its two days and more than 100 people connected and followed it. 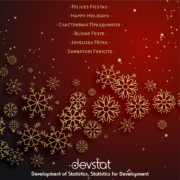 2016 has been another important year for DevStat. We have continued our internal restructuring into three activity streams: quantitative consulting, technical assistance to statistical systems and technical events. We have also moved to new premises, with all the necessary technology to deliver our services in a friendly environment in the very heart of Valencia. Our in-house experts have provided consultancy services to the European Commission (DG Trade, Eurostat), UNICEF, the regional government of Valencia, the regional statistical office of the Gulf Cooperation Council and other clients. In all cases, our services include the use of state-of-art quantitative methods for decision-making. A small but promising Data Science team has been created to take active part the Data revolution and make our clients benefit of it. With the new year, a consulting project with the DG for Fisheries and Maritime Affairs of the European Commission is just starting. 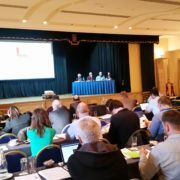 Two major events were organised for the European Statistical System: on Modernisation of Official Statistics (in Bucharest) and on Data Visualisation (in Valencia). Training events for official statisticians were organised in Valencia, Brussels and Vienna. We sponsored the Big Data CARMA Conference in Valencia, and we are now fully embarked on the preparation of the first conference on Linked Open Data for the European Statistical System in Valletta (Malta). Our third stream of work, the provision of technical assistance to developing and transition statistical systems, has been increasingly global, with new projects in Cuba, Lebanon, Moldova, Sudan, Ukraine and Tajikistan. We have contributed to the validation of the Population and Housing Census data in Bosnia and Hercegovina. All this is possible thanks to our qualified in-house staff, but also the many experts mobilised for our projects, and our partners including the statistical offices of Italy, Lithuania, Malta, Portugal, Romania, to which we are grateful and with which we hope to continue our collaboration. I hope that 2017 will bring us new, exciting opportunities for collaboration with international organisations, national institutions and private companies. 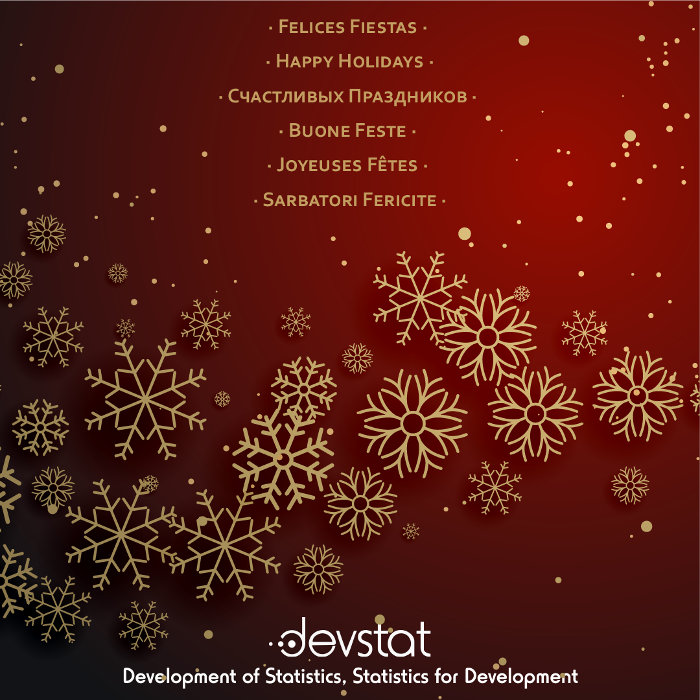 My best wishes for all our collaborators and clients!